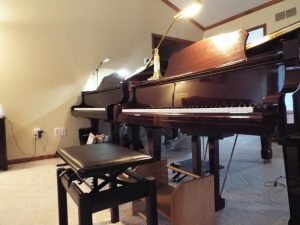 Where is a good website to find out about buying a new or used piano? Keep the piano clean and free of dust. Keep food and drink away from the instrument. Every piano, regardless of its use or location, should be tuned a minimum of twice a year. Pianos that receive more use should receive more frequent, regular tuning. Voicing may be required to control the way the string vibrates to create the piano’s tone quality. Regulation will make sure that the piano action works correctly and uniformly. The temperature in the piano room should be kept consistent. Excessive variations in temperature should be avoided. Relative humidity should be kept as constant as possible. Air that is too dry or too moist is hard on pianos as well as humans. In a well-insulated home, it is permissible to place the piano along an outside wail. Allow a four-to six-inch air space between the piano back and the wall. This will keep a constant temperature on both sides of the soundboard and also prevent a muffled tone. Otherwise place the piano on an inside wall. Locate the piano away from heating and cooling ducts. This also applies to hot water radiators and radiant-heat installations. Keep the piano out of direct drafts from any source. Try to locate the piano away from the direct rays of the sun. Direct sunlight will cause the piano finish to deteriorate before its time. It will also have a negative effect on tunings and various mechanical parts. For more information about pianos and piano maintenance visit the Piano Technicians Guild. They have great information about how a piano works, piano diagrams and piano facts. 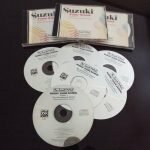 Piano Education Website– Another website with a lot of good information! Do I need an adjustable bench? footstools? No. 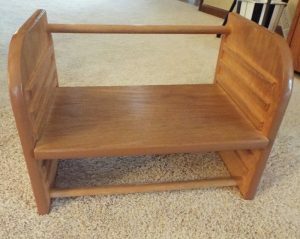 You will however need a way to seat your child high enough on the bench and find a way to support their feet at proper height. 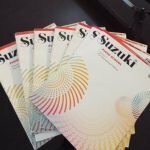 Where can I get the Suzuki materials? 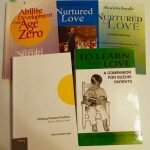 How can I learn more about Suzuki Philosophy?